CANCER KNOWS NO BOUNDARIES, HAS NO PREFERENCES, FAVORS NO ETHNICITY. IT IS A PREDATOR THAT SEEKS OPPORTUNITIES WHEREVER THEY EXIST! Happiness video for our Stage 4 Breast Cancer women and their families at the Dollywood DreamMore Resort!! When you watch this you will stomp your feet and dance in your heart! We made Memories That Outlast Cancer with 20 families in 2017!!! Thanks to all those who donated to make this a reality! Husband, SON 29, daughter 19, daughter 18; GOING TO ocean city, maryland april 17 - 23, 2017, vacationing at the gateway grand on the ocean. Jackie and her husband NEVER had a HONEYMOON. "I want you to know this trip means the world to me & my husband. he deserves this more than i do. he is such a loving caregiver." husband works 6 days a week, takes care of jackie & their home! stage 4 MBC TO BONES, lungs, spleen, liver, skull, and ovaries. ONGOING CHEMOTHERAPY at virginia cancer institute. self nOMINATED. Partner Brian AND SON 10, 2 daughters 10 and 13; going to THE GREAT SMOKY MOUNTAINS in TENNESSEE, AUGUST 6- 12, 2017. Vacationing at Dollywood's DreamMore Resort with donated tickets to the dollywood theme park, COUNTRY TONITE THEATER SHOW, and splash country. PLUS, a welcome reception with a country music star and an exclusive SPA night. DIAGNOSED WITH STAGE 4 BREAST CANCER, METASTASIZED to her adrenal glands. nominated by cheryl snyder. Husband Bart, daughter 4, Son 10; GOING TO THE GREAT SMOKY MOUNTAINS OF TENNESSEE, AUGUST 6 - 12, 2017. Vacationing at Dollywood's DreamMore Resort with donated tickets to the dollywood theme park, COUNTRY TONITE THEATER SHOW, splash country AND a welcome reception with a country music star and an exclusive SPA night. DIAGNOSED WITH ADVANCED STAGE 4 MBC METASTASIZED to pleural & peritoneal cavity and lymph nodes. NOMINATED by Teresa Putscher. Husband Adam, son 4; GOING TO THE GREAT SMOKY MOUNTAINS OF TENNESSEE, AUGUST 6 - 12, 2017. Vacationing at Dollywood's DreamMore Resort with donated tickets to the dollywood theme park, COUNTRY TONITE THEATER SHOW, and splash country. PLUS, a welcome reception with a country music star and an exclusive SPA night. DIAGNOSED WITH Stage 4 breast cancer METASTASIZED TO liver and bones. husband andy, one daughter 6, son 9; GOING TO THE GREAT SMOKY MOUNTAINS OF TENNESSEE, AUGUST 6 - 12, 2017. Vacationing at Dollywood's DreamMore Resort with donated tickets to the dollywood theme park, COUNTRY TONITE THEATER SHOW, splash country, a welcome reception with a country music star, and an exclusive SPA night. diagnosed with stage 4 BReast cancer METASTASIZED to liver, bones, brain and femur. Husband BRAD, 2 daughters 21 & 17, SON 16; GOING TO THE GREAT SMOKY MOUNTAINS OF TENNESSEE, AUGUST 6 - 12, 2017. Vacationing at Dollywood's DreamMore Resort with donated tickets to the dollywood theme park, COUNTRY TONITE THEATER SHOW, splash country, a welcome reception with a country music star, and an exclusive SPA night. dIAGNOSED WITH STAGE 4 BREAST CANCER METASTASIZED TO LUNGS AND LYMPH NODES. 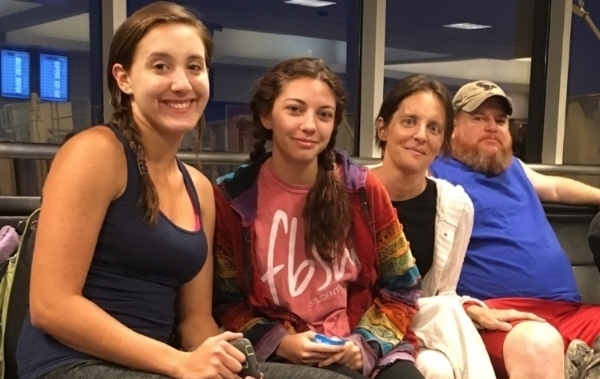 SON 33 AND TWIN GRANDDAUGHTERS 17, GOING TO THE GREAT SMOKY MOUNTAINS IN TENNESSEE, AUGUST 6 - 12, 2017; VACATIONING AT DOLLYWOOD'S DREAMMORE RESORT with donated tickets to the dollywood theme park, COUNTRY TONITE THEATER SHOW, splash country a welcome reception with a country music star, and an exclusive SPA night. DIAGNOSED WITH STAGE 4 INFLAMMATORY BREAST CANCER METASTASIZED TO NECK, HIP, LIVER, SPINE AND LUNGS. SINGLE MOM, GOING TO THE GREAT SMOKY MOUNTAINS IN TENNESSEE WITH A FRIEND, AUGUST 6 - 12, 2017, VACATIONING AT DOLLYWOOD'S DREAMMORE RESORT with donated tickets to the dollywood theme park, COUNTRY TONITE THEATER SHOW, splash country, a welcome reception with a country music star, and an exclusive SPA night. HUSBAND ROBERT, SON 25, DAUGHTER 20 GOING TO THE GREAT SMOKY MOUNTAINS IN TENNESSEE, AUGUST 6 - 12, 2017, VACATIONING AT DOLLYWOOD'S DREAMMORE RESORT with donated tickets to the dollywood theme park, COUNTRY TONITE THEATER SHOW, And splash country, a welcome reception with a country music star, and an exclusive SPA night. DIAGNOSED WITH STAGE 4 BREAST CANCER METASTASIZED TO LUNGS AND BONES RESULTING IN A COMPRESSION FRACTURE. NOMINATED BY HER STEP-DAUGHTER KIM SHEFCHIK. HUSBAND ANDREW, DAUGHTER 23, TWO SONS 22, 20, GOING TO THE GREAT SMOKY MOUNTAINS IN TENNESSEE, AUGUST 6 - 12, 2017, VACATIONING AT DOLLYWOOD'S DREAMMORE RESORT with donated tickets to the dollywood theme park, COUNTRY TONITE THEATER SHOW, splash country, a welcome reception with a country music star, and an exclusive SPA night. DIAGNOSED WITH STAGE 4 BREAST CANCER METASTASIZED TO SPINE, HIP BRAIN. NOMINATED BY LAURIE SELBY, ANNE ARUNDEL MEDICAL CENTER DECESARIS CANCER INSTITUTE. SON 29, DAUGHTER 28, 2 GRANDSONS 7, 3, GRANDDAUGHTER 4 GOING TO THE GREAT SMOKY MOUNTAINS IN TENNESSEE, AUGUST 6 - 12, 2017; VACATIONING AT DOLLYWOOD'S DREAMMORE RESORT with donated tickets to the dollywood theme park, COUNTRY TONITE THEATER SHOW, And splash country. PLUS a welcome reception with a country music star and an exclusive SPA night. DIAGNOSED WITH STAGE 4 HER2 DOUBLE POSITIVE BREAST CANCER METASTASIZED TO BONES. HUSBAND SCOTT, TWO DAUGHTERS 2 AND 5, GOING TO THE GREAT SMOKY MOUNTAINS IN TENNESSEE, AUGUST 6 - 12, 2017; VACATIONING AT DOLLYWOOD'S DREAMMORE RESORT with donated tickets to the dollywood theme park, COUNTRY TONITE THEATER SHOW, splash country, welcome reception with a country music star, and an exclusive SPA night. DIAGNOSED WITH STAGE 4 BREAST CANCER METASTASIZED TO THE BONES AND LUNGS. MOTHER CARMEN AND DAUGHTER 6, GOING TO THE GREAT SMOKY MOUNTAINS IN TENNESSEE, AUGUST 6 - 12, 2017, VACATIONING AT DOLLYWOOD'S DREAMMORE RESORT with donated tickets to the dollywood theme park, COUNTRY TONITE THEATER SHOW, splash country, a welcome reception with a country music star, and an exclusive SPA night. DIAGNOSED WITH STAGE 4 BC, BILATERAL MASTECTOMY, HYSTERECTOMY, METASTASIZED TO SPINE WITH STEEL RODS AND SCREWS INSERTED. BEGAN A GROUP, "SURVIVING AND GIVING BACK", TO AID LOCAL CANCER PATIENTS WITH CHEMO CARE PACKAGES, GAS CARDS, & EARLY DETECTION ADVICE. NOMINATED BY CARMEN SMITH, HER MOTHER. 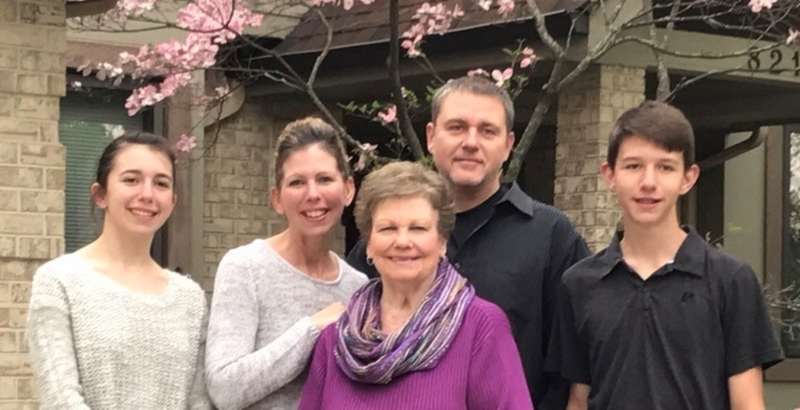 DAUGHTER, SON-IN-LAW, 2 GRANDDAUGHTERS 10 AND 13, 2 GRANDSONS 12 AND 4, GOING TO THE GREAT SMOKY MOUNTAINS IN TENNESSEE, AUGUST 6 - 12, 2017, VACATIONING AT DOLLYWOOD'S DREAMMORE RESORT with donated tickets to the dollywood theme park, COUNTRY TONITE THEATER SHOW, And splash country. PLUS, a welcome reception with a country music star and an exclusive SPA night. DIAGNOSED WITH STAGE 4 BREAST CANCER, METASTASIZED TO BONES AND LIVER. husband jesus, son 8, daughter 10, GOING TO THE GREAT SMOKY MOUNTAINS IN TENNESSEE, AUGUST 6 - 12, VACATIONING AT DOLLYWOOD'S DREAMMORE RESORT with donated tickets to the dollywood theme park, COUNTRY TONITE THEATER SHOW, splash country, a welcome reception with a country music star, and an exclusive SPA night. diagnosed WITH stage 4 breast cancer metastasized to liver and brain. nominated by emily doerr, massachusetts general hospital cancer center. SON 19, DAUGHTER 24, FUTURE SON-IN-LAW 24, GOING TO THE GREAT SMOKY MOUNTAINS IN TENNESSEE, AUGUST 6 - 12, 2017, VACATIONING AT DOLLYWOOD'S DREAMMORE RESORT with donated tickets to the dollywood theme park, COUNTRY TONITE THEATER SHOW, And splash country. PLUS, a welcome reception with a country music star and an exclusive SPA night. DIAGNOSED WITH STAGE 4 BREAST CANCER METASTASIZED TO BONES. HUSBAND LARRY, 2 SONS 8 AND 5, DAUGHTER 3, GOING TO THE GREAT SMOKY MOUNTAINS IN TENNESSEE, AUGUST 6 - 12, 2017, VACATIONING AT DOLLYWOOD'S DREAMMORE RESORT with donated tickets to the dollywood theme park, COUNTRY TONITE THEATER SHOW, splash country, a welcome reception with a country music star and an exclusive SPA night. DIAGNOSED WITH STAGE 4 BREAST CANCER AND IS ON MAINTENANCE THERAPY. HUSBAND JEFF, SON 19 GOING TO THE GREAT SMOKY MOUNTAINS IN TENNESSEE, AUGUST 6 - 12, 2017, VACATIONING AT DOLLYWOOD'S DREAMMORE RESORT with donated tickets to the dollywood theme park, COUNTRY TONITE THEATER SHOW, splash country, A welcome reception with a country music star, and an exclusive SPA night. DIAGNOSED WITH STAGE 4 BREAST CANCER METASTASIZED TO BONES, LUNGS, LYMPH NODES, ON PAIN MEDICATION 24/7 FOR BACK/SPINE. SELF NOMINATED. Daughter 17, son 9, NIECE 18, GOING TO THE GREAT SMOKY MOUNTAINS IN TENNESSEE, AUGUST 6 - 12, 2017, VACATIONING AT DOLLYWOOD'S DREAMMORE RESORT with donated tickets to the dollywood theme park, COUNTRY TONITE THEATER SHOW, splash country, a welcome reception with a country music star, and an exclusive SPA night. A single mom whose husband died suddenly in 2014. diagnosed with mbc in October 2015, mets to the liver and bone, 2016 METS to the brain. nominated by rhonda howell. SON 15, FINANCE CHRIS GOING TO THE RANCH AT LAGUNA BEACH, CA, SEPTEMBER 28 - OCTOBER 2, AIRLINE TICKETS BOUGHT BY ANI CHANG, BOD MEMBER OF LESLIE'S WEEK, LIMOUSINE PICKUP AT AIRPORT BY THE RANCH, ALL MEALS & ROOM FILLED WITH FLOWERS PAID FOR BY DAN CATULLO, FRIEND OF LESLIE'S WEEK. A SINGLE MOM DIAGNOSED WITH BREAST CANCER, 2013, AGE 36. METASTASIZED TO BONES AGE 40 WITH 80% COMPRESSION IN HER SPINE, UNABLE TO WALK. SHE CRIED AND SAID, "I HAVE NEVER SEEN THE OCEAN." NOMINATED BY HER FRIEnD AMBER HALL. HUSBAND ANTHONY, SON 13, DAUGHTER 8, GOING TO THE GREAT SMOKY MOUNTAINS IN TENNESSEE, AUGUST 6 - 12, 2017, VACATIONING AT DOLLYWOOD'S DREAMMORE RESORT with donated tickets to the dollywood theme park, COUNTRY TONITE THEATER SHOW, And splash country, a welcome reception with a country music star, and an exclusive SPA night. 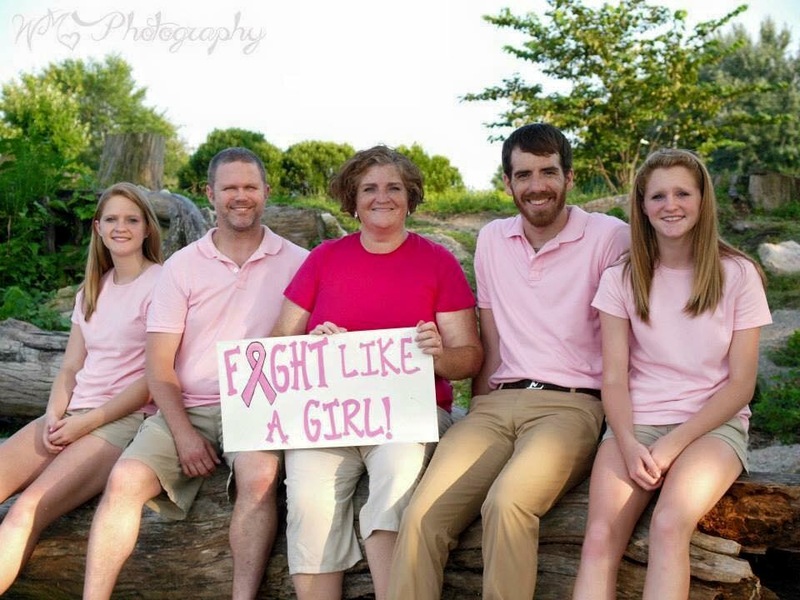 DIAGNOSED WITH STAGE 4 BREAST CANCER METASTASIZED TO BONES. NOMINATED BY ANTHONY HER HUSBAND. Nestled in the majestic Aliso and Wood Canyons, Orange County, resides The Ranch at Laguna Beach resort. This hotel and spa is situated on an iconic piece of land where canyon and sea meet. The Ranch at Laguna Beach has been re-envisioned as the home of Southern California’s newest hotel and spa. Our premier boutique coastal ranch hotel and spa is the perfect blend of the rich history of this storied canyon and the artistry that is Laguna Beach. This resort is California’s only National Geographic Unique Lodge of the World.